You’ve heard of Linkedin, right? Then why aren’t you using it to network and grow your business? Linkedin has around 500 million users with 250 million being active (stats updated Jan 1, 2018). If you are marketing to other businesses (B2B) or Corporate Professionals are your target Market, then Linkedin is where you should be spending your time. On top of that, Linkedin is totally under-utilized for small business owners so this marketplace is wide open! You just need to get in there and use it! As with most Social Media, great things don’t happen overnight and you need to be committed and work it, work it, work it, to see results. If you are going to be successful on Linkedin, you need a solid Social Media Plan, that includes goals and tracking results. Here are 5 ways that you can use Linkedin to gain maximum exposure for your brand and your company! 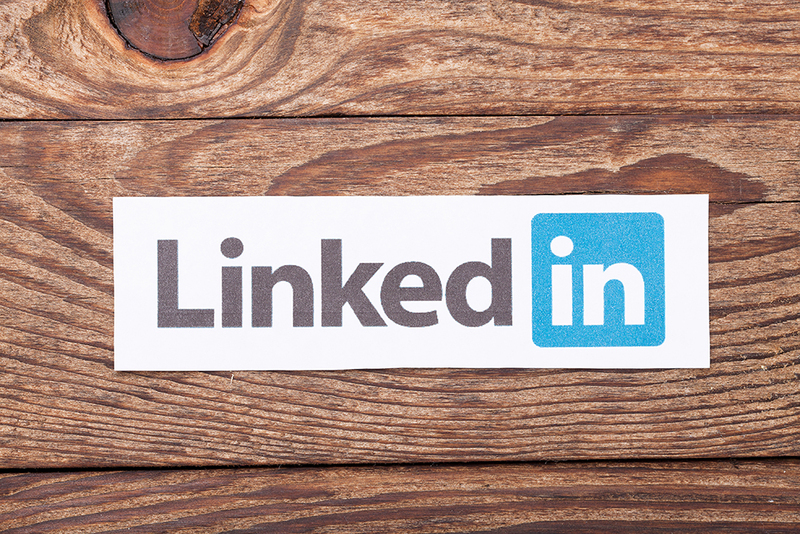 Many people still consider Linkedin as a digital resume site, but actually, Linkedin is a Search Engine first and Social Media Platform second. This means that keywords are super important if you want someone to find you that isn’t in your network. Your profile is a great place to talk about your business and what you bring to the table, incorporating those all important keywords and making an impression with images and graphics. Your headline shows up in searches so make sure it’s enticing enough to encourage clicks! Once in your profile, make sure you have a good headshot as your profile pic and make use of the header image space with your business branding. Use the summary area to talk about your strengths and really make a connection with your audience – what are the pain points you solve for them? Ask for recommendations. If you have worked with other LinkedIn Professionals and they are happy with your business services or products, ask them to write a recommendation for your profile, this can be done right within Linkedin. In today’s world where many consumers make buying decisions based on other peoples recommendations, this is a key area to grow on your profile! Linkedin Groups still have more changes to come and honestly, they are not as user-friendly as Facebook Groups – yet! Some recent changes to Linkedin Groups now allow you to post videos, @ mention members and see Groups from your home page and in the feed. Joining groups where your potential clients are hanging out is a great way to connect with new people, but you have to work it! Make sure you are commenting and joining in with conversations, demonstrating your knowledge around your core skills and superhero abilities. Do not just post when there is a Marketing Opportunity, those types of business owners are over on Facebook…Linkedin is classier than that! You can create your own group for extra exposure, but be prepared for a long journey there. You will need to post often (at least daily), draw attention to your group in other marketing activities and be prepared to talk to yourself for a while until the conversation gets going! There is the ability to customize welcome messages going out to new members which is a great feature, you can discuss the group rules and point them to your website for signup and extra info! Hopefully, with Linkedin doing some more “revamping” with Groups, this area will improve even more. Articles written on Linkedin should be focused on building your reputation as a subject matter expert and encouraging people to follow you and your company page. As with other Social Media platforms, the more followers you have, liking and commenting on your posts, the more other people will see your content. One thing to ensure with articles though is that is not a replica of a blog post you already published. It can be repurposed content but it shouldn’t be the same – after all you want to direct people to “read more” at your website. Having a company page is important for a couple of reasons, the first and most important is that it allows you to pull through your branding onto your personal profile when you indicate that this is where you currently work. If you have employees, it also allows them to do the same, helping with brand exposure. Secondly, the company page allows you to showcase your products and services, giving you a little more space to spread your branding message. The downside to company pages is that you have to have people follow your page in order for them to see any posts. As far as working Linkedin is concerned most of your posts should go under your personal profile until you have built up a significant Company Page Following. Your posts will show up in feeds that belong to your network and those that follow you. As with all Social Media Platforms, the key here is to get people liking and commenting on your posts in order for others in their networks to see your content. It is therefore crucial that your posts are made of high quality, thought-provoking, shareable content – remember who your audience is here on Linkedin, many a CEO hangs out here and whilst they too have a sense of humour, that’s not why they are hanging out on Linkedin! When developing your Linkedin Social Media plan, make sure you include all of these areas as part of it for maximum Linkedin exposure. If all this seems daunting, of course, we can help you with a plan, get in touch here to discuss your needs. Also check out the Linkedin Marketing Checklist here.